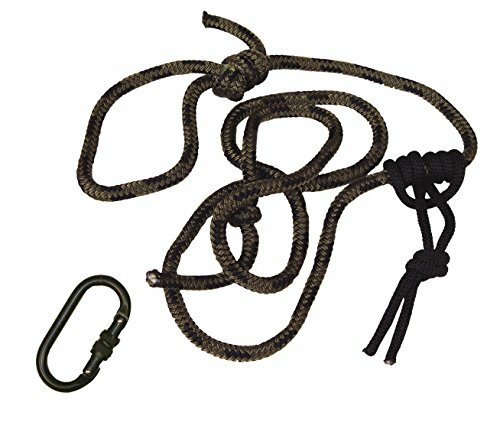 Your 8-foot Summit safety rope can easily be converted into a lineman’s climbing belt to aid you in installing and using hang-on tree stands. In this kit, you’ll find a hardware-complete safety rope, Prusik hitch, lineman’s clip and two (2) locking carabiners. Attach the lineman’s clip to the safety rope and then to the lineman’s loop, put the safety rope around the tree, and clip the locking carabiner to the adjustable Prusik hitch. To adjust the climbing belt, simply slide the Prusik hitch forward or backward.